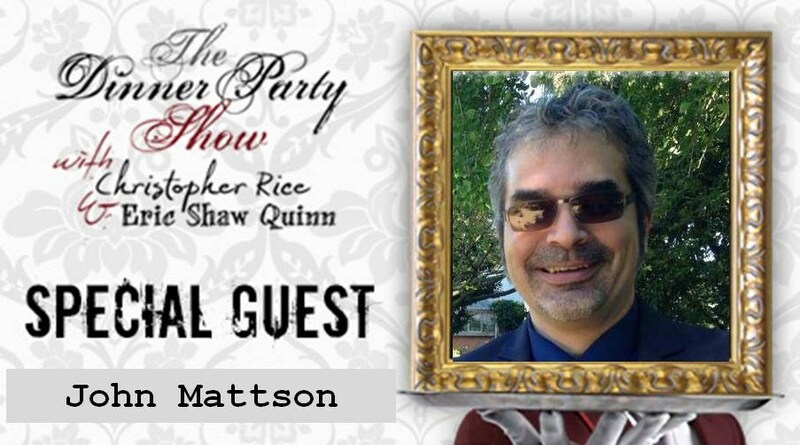 Having been informed by party people John Mattson and Jesse Colton that the upcoming episode of the Dinner Party Show is all about us (the listeners), I have decided that the least I can do is return the favor and write a blog post that is all about The Dinner Party Show. 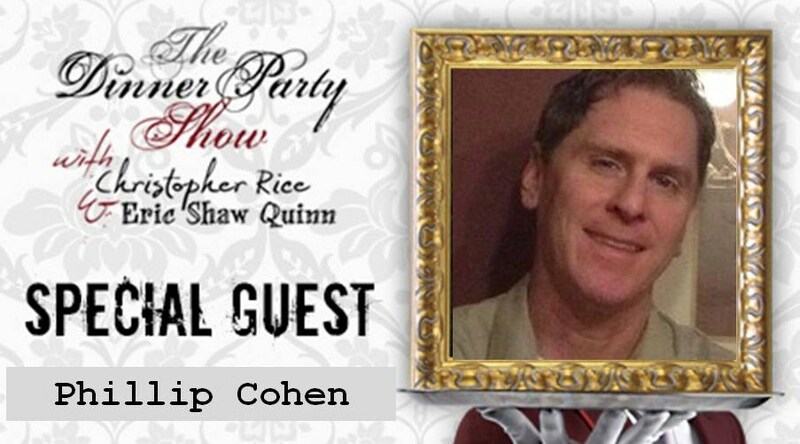 It is an internet radio show hosted bestselling authors Christopher Rice and Eric Shaw Quinn, both of whom are hysterically funny. Much of the show is in a talk show/interview type format, and guests are not always, but quite frequently successful authors such as Armistead Maupin, Patricia Cornwell, Caprice Crane, Anne Rice, Dr. Joe Wenke, Adam Fitzgerald, Marcia Clark, Dan Savage, Paul Vitagliano, Janet Fitch, Leslie S. Klinger, Tim Federle, Jeffery Self, Patricia Nell Warren, Jan Burke, and Gregg Hurwitz. It’s no surprise that with this kind of line-up, the show’s regular audience includes a number of writers and aspiring writers who are just as excited about the opportunity to ask questions of successful people in our field as we are to listen to the outrageously funny sketch comedy Eric Shaw Quinn and Christopher Rice deliver on a weekly basis, including original characters known as special correspondents like fan favorite meth-addicted entertainment reporting ditz Jordan Ampersand and cuckolded beard and love advice columnist JoNell Simms, as well as the endlessly amusing series of fake commercials for things like Find-A-Troll. 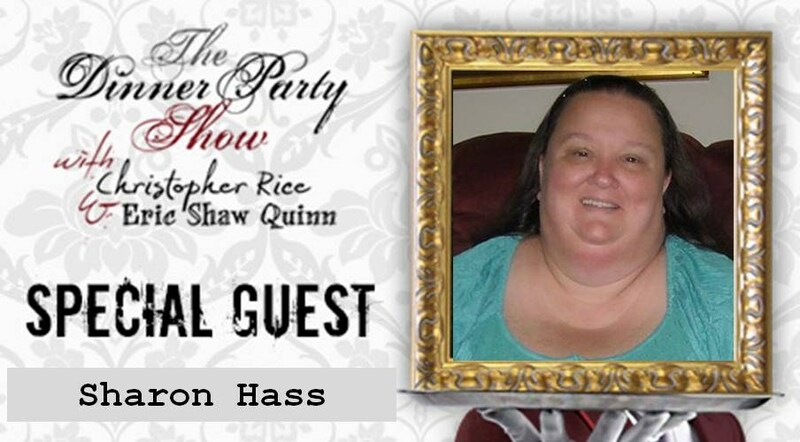 Of course, a big part of the reason guests of the live show love it so much is because we get to interact with so many other fun people from around the world, the show’s fans, dubbed by Anne Rice as the “Party People.” Occasionally, there is a “You’re the Guest” episode of the Dinner Party Show, which highlights this aspect of the program. Sometimes we, the Party People, joke with each other about becoming successful enough to one day get invited to appear on the show. In the meantime, the hosts include us every week with live chat on their Facebook page and Twitter feed, and a new call in hotline. 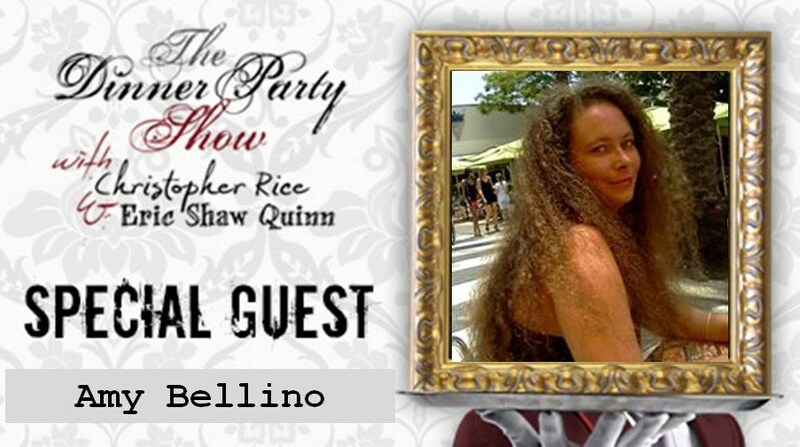 Another way they interact with the fans is though the “You’re The Guest” episodes, such as the one coming up on Sunday, February 23, 2014 at 8 pm EST/5pm PST. In honor of it, I am profiling just some of the interesting people who regularly attend the online, live chats and are proud to call themselves Party People. I wish I could profile everyone, but my fingers would cramp up from all of the typing. 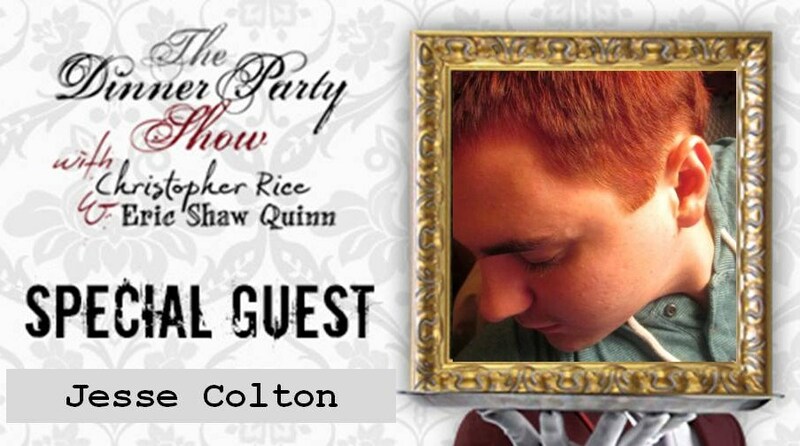 Hopefully I can profile ten more the next time we have a “You’re The Guest” episode. 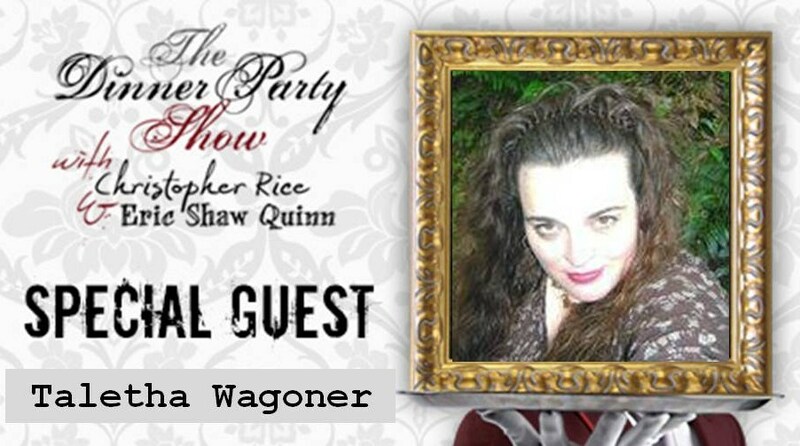 In line with my theme for this blog post, “why writers love The Dinner Party Show,” I have profiled several writers in this installment. Not of the people I have profiled are writers, but you will be surprised to see how many are. The Party People also include creative types who work in other media such as painters and jewelry makers, as you will see here. Others are simply down to earth, funny people who just love comedy. Jesse Colton is an author of fantasy, piano player, and lover of weird singer-songwriters and even weirder video games. His hobbies include squealing and running when seeing snakes and complaining about being outdoors when camping. He once kissed a girl, and despite being gay as the day is long, he did in fact like it. He is known for his contributions to the world of fantasy writing, with his first novel winning every award available in the US, and his debut album peaked at #1 on the billboard hot 100 charts. He is also happily married but employs Ryan Reynolds as a houseboy. Oh wait, none of that is true and he’s fantasizing again. John is an interesting combination of individuals, fiercely loyal, but opinionated. John was a native of Southern California, but in 1999 he met he future partner Wayne and it became apparent that his country would not accept Wayne as his partner and his only choice was to move to Australia where his partner lives. That is not a terrible thing, as John has been in love with Australia since he was six, so technically two dreams came together at once. He met the man of his dreams, and got to become a permanent legal resident of Oz (cue Judy Garland). Taletha Wagoner AKA: Tally was born in Vancouver, Wa or what they call Vantucky, Wa. As a child she was a tom boy who loved to play and fight with boys around the neighborhood. As a teenager she was a model and professional inline racer for five years until retiring at the age of twenty. She is mom to a wonderful son now eighteen. Her new fur baby Bun E Carlos works to keep her very busy. Her motto is this; “Every day you wake up is the first day for the rest of your life, so make every day count.” Her best attribute is her laughter and black sense of humor. Make her laugh and you will have an instant friend. She is married, mother to two step sons and a regal black cat named Arista, of four grandchildren, and lives in Miami Beach, FL. She makes and sells jewelry on Etsy at SouthBeachTreasures. She is writing a book about undercover aliens and considers herself “grammar phobic”. 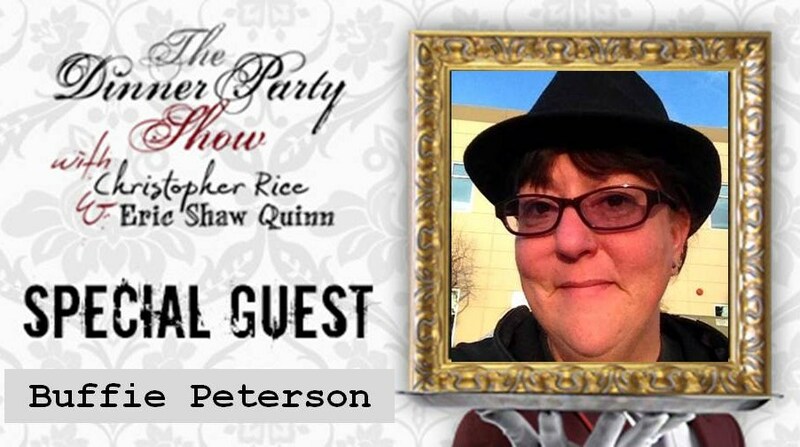 She is collaborating with fellow Party Person Buffie Peterson on her Etsy shop AkashasKreations. Buffie inspired her to create her own shop and helped her with getting started. Amy created a one of kind Hello Kitty themed choker set for Party Person Sumiko Saulson. She says her two most cherished possessions are her framed Restless Leg Dancers painting by Sumiko and her signed excerpt of The Heavens Rise by Christopher Rice. “November 17, 2011, Buffie sat down with her youngest son to listen to the brand new TDPS. Now thoroughly scarred, she has never been the same. But she continues, along with her 3 boys Alex, Kaleb and Sean, and her husband Stu, to be an avid listener. TDPS has now become one of their Sunday evening rituals. Buffie enjoys being an entrepreneur. She started her own jewelry shop, Akasha’s Kreations, back in 2013. When she is not beading, she is writing her current novel. Sharon lives in the small town of Mint Hill, North Carolina with her cat Gracie Lu. She has been interested in writing since she was sixteen. Her dad was into amateur (‘ham’) radio and spoke to people all over the world, which inspired Sharon to start writing letters to people from everywhere. Later she started writing poems to include in her letters. She graduated to writing children’s short stories. In 1991, Sharon and her ex-husband John Hass had an infant daughter, Anna, who was lost to SIDS. The tragedy inspired Sharon to write more, and she began to write poems for her daughter. In 1994 they had a son, Allen. Sharon now writes longer fiction and non-fiction. She can be found at her desk writing, or jotting notes in her journal for a story idea. She loves comedy such as The Three Stooges and Marx Brothers. She also enjoys anything to with pirates, vampires, history or horror. She enjoys reading a good book by Anne Rice or Christopher Rice. She also has a long list of other books she wants to read. 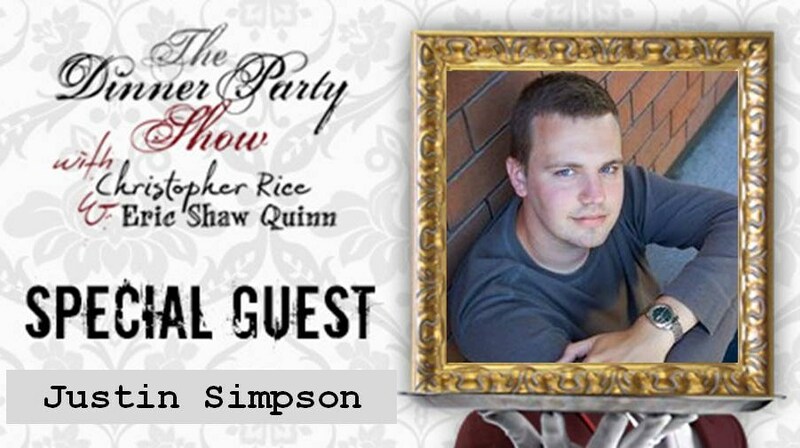 Justin Simpson is a writer/artist currently living in the San Francisco Bay Area. He currently has written two novels that have yet to be published, but as an artist is finally going public. 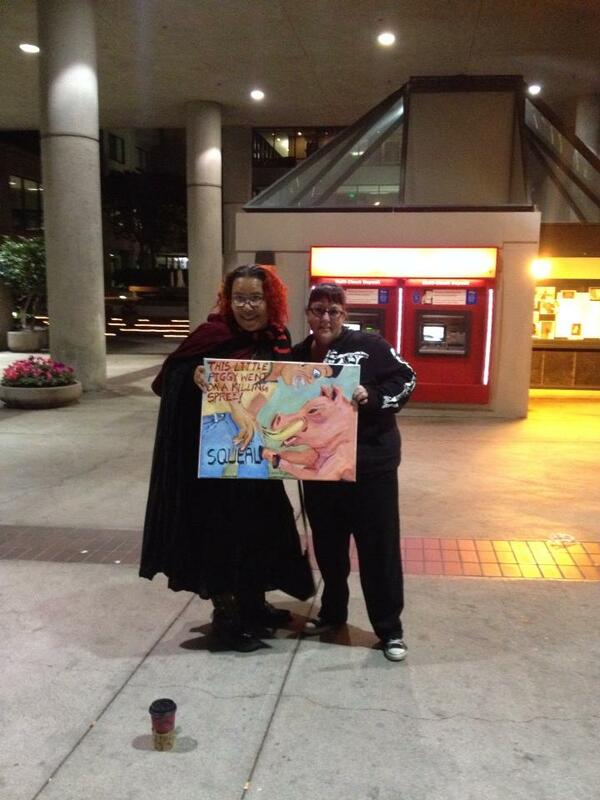 He has had his artwork displayed in coffee shops and bakeries, to the mayor’s office in Sunnyvale, California. Five of his paintings are currently on permanent display at the world famous Nob Hill Theatre in San Francisco, California and as of this writing has one piece of artwork in consideration for the Art for AIDS art auction to benefit the UCSF health alliance which helps over 7,000 people living with HIV/AIDS in the Bay Area. 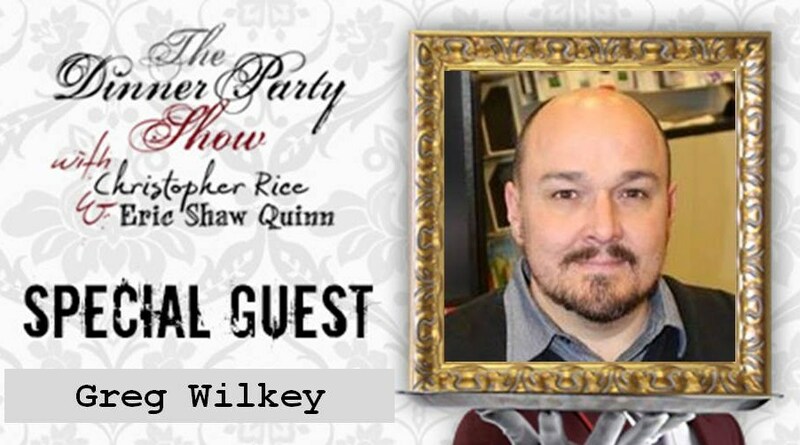 Greg Wilkey is an author and professional educator. He is the creator of the popular Mortimer Drake Series of YA books. Greg was born in Chattanooga, Tennessee in 1971. He developed a love of stories and adventure at an early age and he has always loved to read and write. Greg graduated from college with a degree in education and began a career in teaching world languages in 1993. He spent the next 15 years as a classroom teacher of Spanish until moving into school administration in 2007. He has been married for 20 years to his wife, Alicyn. He lives and works in his lovely Chattanooga where he and his wife are the proud pet parents of three spoiled cats. Philip Cohen a decorative painter in the Los Angeles area working in many beautiful and historic homes including Descanso Gardens, Boddy House and the Robinson Gardens Museum. He is currently working on a forty foot mural of Blue Bell Forest in the Pasadena Showcase (http://pasadenashowcase.org/), opening April 15. His imaginative works infuse elements of the natural world onto the inside of buildings, and frequently pay homage to specific movements in art and architecture. The gothic ceiling he painted at the Latigo Canyons mini-Hearst Castle in Malibu is a fine example, with its gargoyle panels and fleurs de lis. 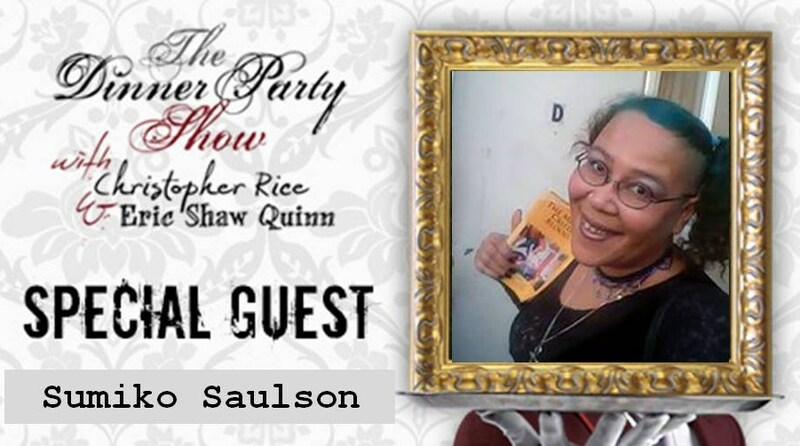 Sumiko Saulson is a poet, and a sci-fi and horror novelist. Her titles include “Solitude,” “Warmth,” and “The Moon Cried Blood.” She also published a collection of short stories, “Things That Go Bump in My Head,” and a comic book, which she illustrated, “Agrippa.” She illustrated the comic “Living a Lie,” (written by Carolyn Saulson.) Her horror blog was selected as an ambassador for Women in Horror Month in 2013, and she compiled a list of 60 Black Women in Horror Writing for the occasion. She was once profiled in the San Francisco Chronicle as an up and coming poet in the beatnik tradition. She is also a painter, whose works are exhibited locally in galleries, coffee shops, and community centers. She is part of the current exhibit at Expressions Gallery in Berkeley, “Homelessness,” running through mid April. She is a member of the band Stagefright. She reports on the Oakland Art Scene for the Examiner.com. ~ by Sumiko Saulson on February 21, 2014.